Tactile wall hanging in soft pale blush cotton in a scandinavian style neutral palette. 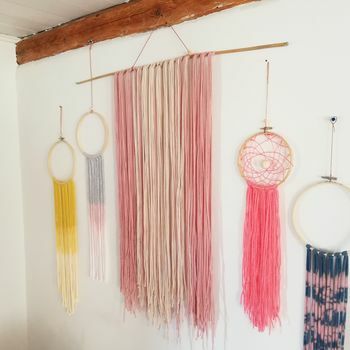 Capture the relaxed hippy vibe of 70's California and bring it into your home this summer, if you can't escape to Palm Springs then this interior trend could be the next best thing! Hangings are a great new way to decorate your home bringing texture to your art collection and creating a lovely relaxed feel in the room. They look great hung together with a collection of pieces or alone on a wall as a focal point. 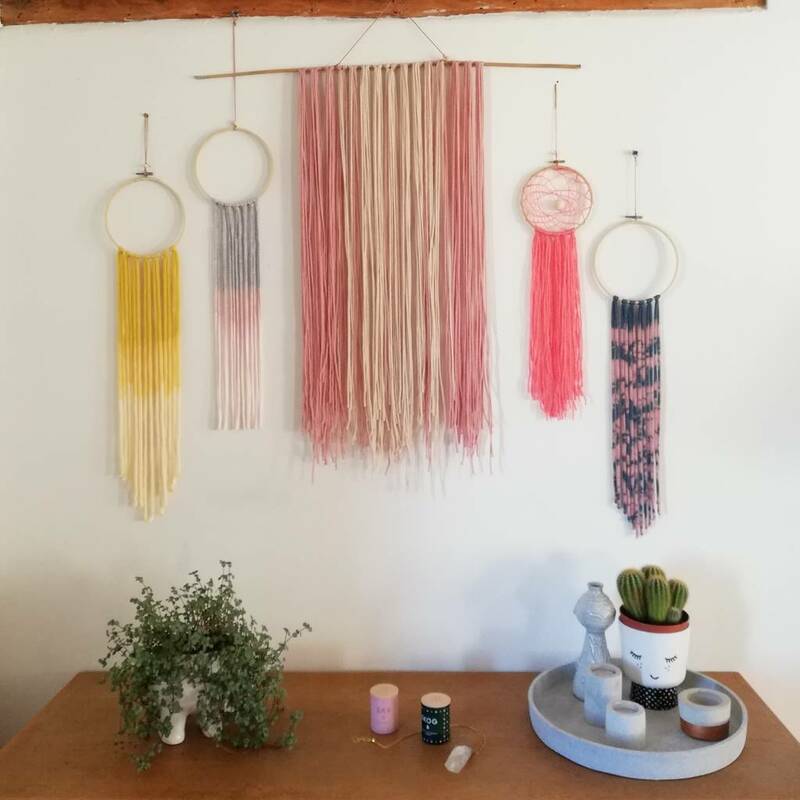 Create a tactile and sensory environment in your home this season, these wall hangings soften the walls and bring a feminine edge to a rooms design, this large cotton soft blush hanging (centre of image) is made with a lovely neutral palette which is bang on trend for this winter's scandinavian interior style. 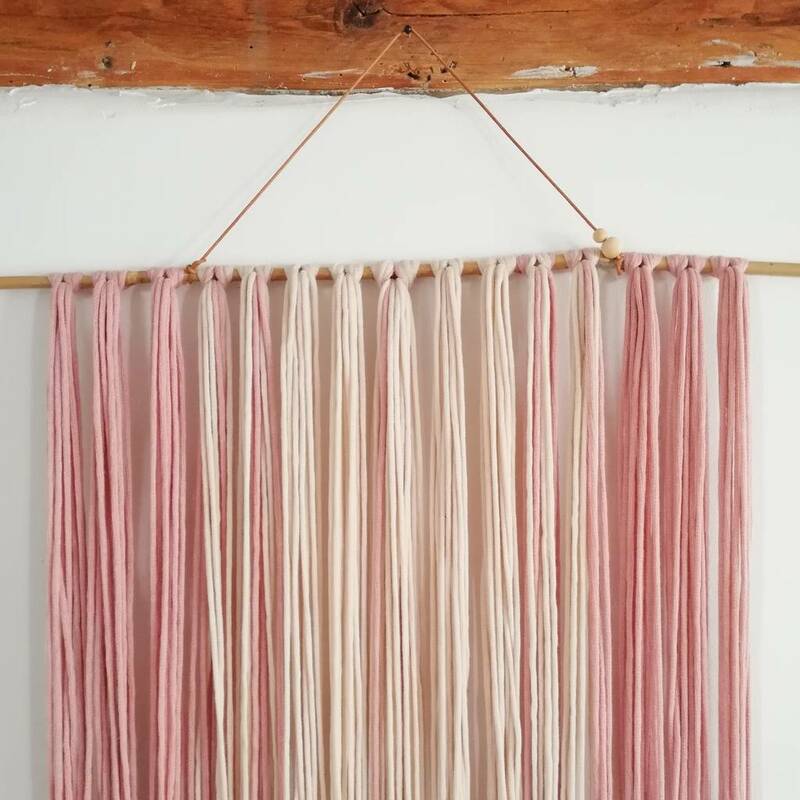 This hanging features two shades of blush colours and the leather hanging thread also has two wooden beads as a lovely detail giving the design to a lux finish. Please allow 10 working days for your item to be handmade to order. If you would like to get in touch to discuss a hanging made to your own specifications please click the 'contact seller' button on the left of the screen. If you would like your item wrapped we include that free of charge, please request that when ordering. Fine jersey tube yarn, bamboo cane, wooden beads and leather thong thread. 60 cm wide (length of cane) and 70cm long.